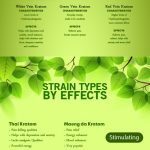 For all Kratom orders – Avail Free Shipping! All orders are eligible to qualify for the first class USPS Mail, which is exclusive of any criterion on the quantity. With the first class USPS Mail, your product is bound to be delivered within 2 to 5 days once it is shipped out. There are also certain cut-off time regulations imposed on us by the USPS. Hence, we request you to place your orders before the limits in order to get your products sooner than the estimated time of delivery. Also, we would like to let you know that the First class USPS mail does not provide any information on tracking and hence we can’t furnish any data on the same. Hope you understand our position and not raise any queries on the same. Thanks!! Any order above the mark of 55$ during checkout is eligible for free USPS Priority Mail Shipping. The estimated time of delivery is usually 2 to 3 days from the time the order has been shipped. Tracking details are provided to us by the USPS and we, in turn, send it to you through the mail for your reference. There is a cut-off time, say 2.00 pm MST and all orders placed before this cut-off time will be shipped out the very same day for our customers. All purchases processed after this cut-off time will be shipped only the next day. All orders are bound to arrive with our logo and a clear-cut label with the name of the product and the amount for which you purchased it.